'AJ', a new magazine with the concept of the connection between Asia and Japan, will be launched on 22nd April. 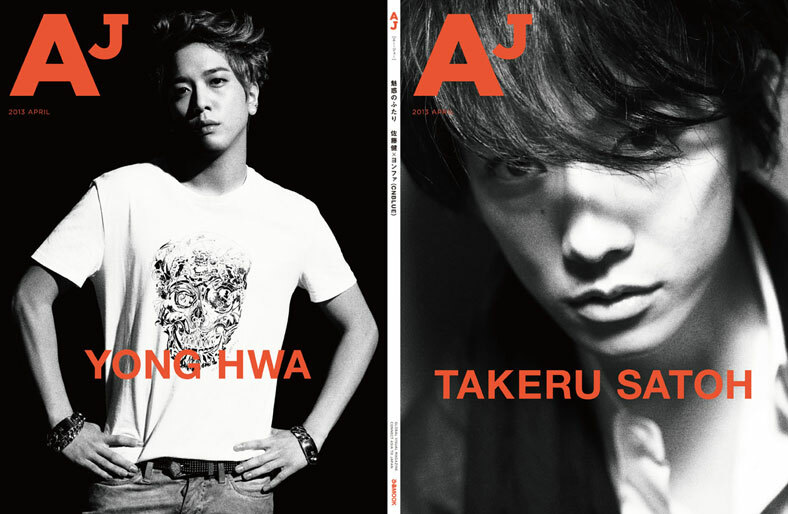 Japanese actor Takeru Sato and Korean actor and CNBLUE band member Yong Hwa grace the cover of AJ's inaugural issue. This is the first time the two men are meeting each other and you can read their exclusive interview inside. Also featured are Hirosue Ryoko x Han Hyo Joo and Ayano Go x Ju Ji Hoon. 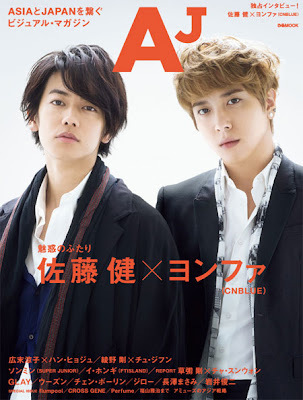 The magazine costs 860 yen. Bonus covers for reservations through PIA Bookshop. Mizobata Junpei is coming to Singapore! 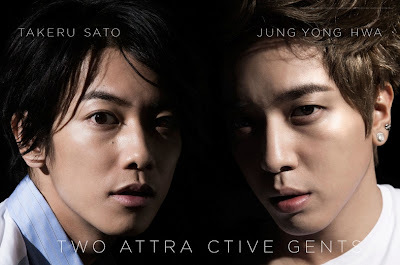 Doubles ~Futari no Keiji starts tonight!